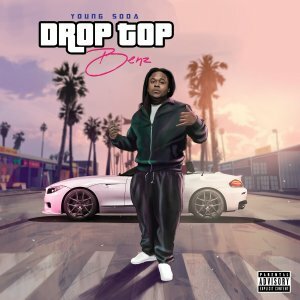 THIS IS YOUNG SODA’S NEW SINGLE “ DROP TOP BENZ” OF HIS NEW MIXTAPE “GUNZ AND ROSEZ” HOSTED BY BIGGA RANKIN. THE FIRST VERSE IS FULL OF MELODIES, THEN FOLLOWED BY A HIGH POWERED HOOK, ACCOMPANIED BY A SMOOTH BRIDGE THAT LEADS INTO ANOTHER HIGH ENERGY VERSE. THIS SINGLE DEFINITELY A MUST LISTEN.